Looking for high performance in a compact package? 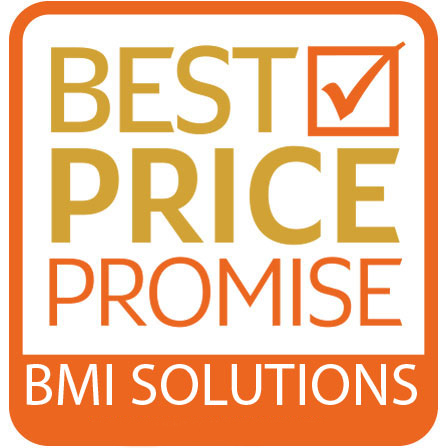 Want to increase efficiency without increasing cost? 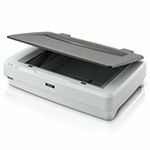 The new KV-S1027 scanner brings you improved scanning speed and paper feed capability, multiple size and material scanning in one, and one-touch, no-fuss functionality for a range documents including passports – all in an easy-to-store, easy-to-access size. 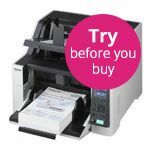 All your binary or colour documents with 200dpi or 300dpi resolution can be scanned at the same speed – vastly improving productivity for your business. The Active Double-Feed Prevention Roller prevents double-feeding by reversing rotation to separate documents that have stuck together and then feeds the leading document first. 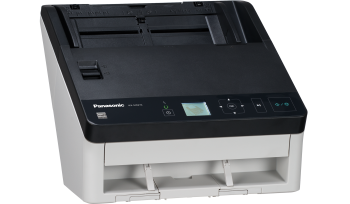 The output speed is automatically lowered for documents that are 148 mm or shorter. This stops longer documents from sliding under shorter ones to prevent the output order from changing. With the largest ADF capacity in its class. it allows you to scan high volumes at once, reducing the number of set-ups. While its first gate mechanism saves you valuable time when handling large number of documents. From paper to mixed material to card, documents ranging from invoices and medical scripts to ID cards and passports can be loaded in one and scanned in an instant. You can pre-programme and select from up to 100 desired scan settings at the touch of a button. The positions and lengths of attached paper strips, such as labels and photos, can be memorised to automatically disable Double-Feed Detection for any documents with the same format. 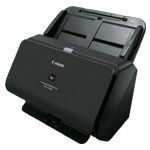 When working in collaboration with Panasonic’s central site manager software, the KV-S1027 scanner is even easier to manage and more efficient in its operations. The software delivers effective control across an entire network, overseeing the status of each scanner, identifying where maintenance is required, notifying users when errors occur by email and updating the software and setting of every scanner in one collective action. An integrated auto preview function automatically adjusts whatever is scanned, offering nine possible ‘candidate’ types. The user can then select the most suitable image with a single click, making any further adjustments that might be required. So there’s no need to waste time going through a trial-and-error process and highly legible electronic documents are produced quickly and easily. The auto rescan feature allows the user to adjust the image on a PC screen without rescanning the original document. Again, this saves time and effort. 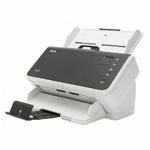 The KV-S1027 scanner can also be specified with ‘Barcode Index’ software – a barcode recognition function that identifies barcode information on documents and forms and then sorts the documents appropriately. 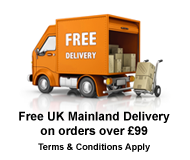 So all scanned items are sorted accurately, quickly and easily.